I’ve worked at the most amazing Spa / Destination Resort for the past 8 years and I was so lucky to be able to sample incredible facial products. Like super amazing, extremely expensive top of the range fantastic, you get my point! WHY ORGANIC OR NATURAL FACIAL OILS? As a breast cancer survivor, I really wanted to find products that I felt were very simple and organic if possible but still produced results. Now, I am not an esthetician and I don’t “know” skin but I know what I want to put in my body so for me that’s where the road divides. I DO NOT have perfect skin. I have never had perfect skin but it’s perfect for me and I’m OK with it just being OK. But I don’t want to look like I don’t take care of my skin and the secret, ssshhh, don’t tell anyone else, is to have “dewy” skin. And when we, in the over 40 category, can achieve that, winner, winner, chicken dinner. WHICH TYPE OF OILS ARE THE BEST? Which brings me to facial oils, which I LOVE LOVE LOVE. I read about the Duchess of Cambridge using Rosehip Oil when she was pregnant so if it’s good for that beauty then I’m in. So what exactly are the benefits of facial oil? They are good for dry skin because the oil locks in the moisture in your skin. They protect your skin. Oils are lipophilic (which means they dissolve in fat) so they trap the moisture in whilst keeping other toxins out. They are a great primer for makeup as they instantly make the skin look plumper. Yes please!!! Improved skin tolerance. Facial oils can calm down skin irritation. And they do not have to be super expensive!! 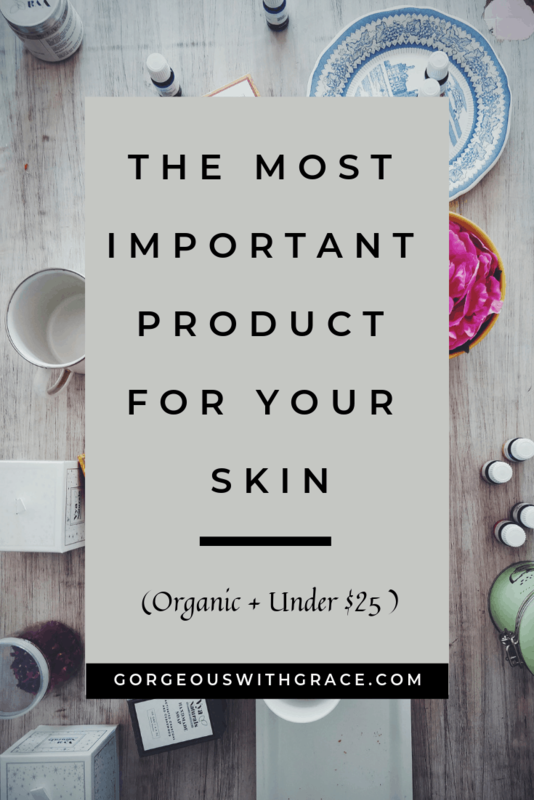 You can mix them up too, you just have to find the right combo for your skin and for less than $25 it’s not going to break the bank to experiment. Please note this post contains Affiliate Links. Please refer to the Disclaimer for details. I can’t’ quite believe that this Marula Oil is at Target, for $15.99!!! What an amazing beauty product deal!!! Marula Oil is amazing. It contains 60% more antioxidants than other oils and it works with every skin type. It’s full of Vitamins A and C which help with anti aging and since it is also antimicrobial it will also help with acne. Also, if you buy this product you are supporting The Marula Project which provides economic empowerment to the South African women who harvest and process the oil. This is by far my most favorite product ever! Ever and ever! I can’t believe the difference that it makes on my skin. Is absorbed quickly into the skin without leaving an oily feel, and does not clog pores. High amount linoleic acid assists removal of excess skin oil or wax to open pores and remove toxins. Transforms your skin into blemish-free, sleek as silk, sensuous as velvet, healthy young smoothness. A few drops a day clears up dry, brittle nails and cuticles. I’ve used Rosehip Oil before. I loved it and thought it made a huge difference on my skin. And it’s only $12.97! The Mapuche Indians have been using Rosehip Oil for centuries. This amber oil has been used to protect their skin from the anti-aging effects of the harsh weather, heal scars, soothe burns and treat rashes and stretch marks during pregnancy. This oil is a great natural moisturizer which will help to soothe dry skin conditions, minimize the appearance of fine lines and slow down skin aging, Many users have also reported a reduction in redness, age spots, scars as well as improved skin tone and elasticity. I love this product line which is stocked at Target and this facial oil is only $14.99!! What a steal! Prunus amygdalus dulcis (Sweet almond) oil*, Argania spinosa kernel oil*, Rosa canina fruit oil*, Limonene**, Citronellol**, Pelargonium graveolens leaf oil*, Geraniol**, Citrus aurantium sinensis peel extract*, Linalool**, Citrus aurantium bergamia (Bergamot) fruit oil*, Citral**, Citrus limon (lemon) peel oil*. *Certified Organic Ingredient **Natural occurring in essential oils. An ultra-lightweight, even faster absorbing version of Josie’s cult-favorite 100 Percent Pure Argan Oil. A featherweight version of the world champion of oils, 100 Percent Pure Argan Oil Light moisturizes deeply and absorbs quickly, leaving a semi-matte finish. Produced by Moroccan women’s co-ops, this top-grade Argan Oil is extracted from the nut of the argan tree, then first-cold-pressed to protect its healthy, hydrating properties. Wear it under makeup or instead of makeup, and fear not if your skin is oily. This must-have oil is especially ideal for those with breakout-prone and sensitive skin. So if you really want to take care of your skin and stop aging in its tracks, then these oils will be a great start. I look forward to hearing about your skin journey, let me know if you try any of these products and if you love them as much as I do. Facial Oil is the best! Always put Bio Oil on scars, amazing.